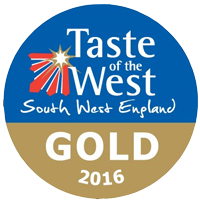 Taste of the West is a unique membership organisation for food and drink producers, distributors, restaurants, cafes, pubs, hotels, farm shops and speciality retailers in the South West - all passionate about the provenance and quality of the products they make, serve or sell. Their organisation is the largest independent regional food group in the UK and we work hard to promote and support fantastic local food and drink from Cornwall, Devon, Dorset, Gloucestershire, Somerset and Wiltshire. Their company was established in 1991, and today they remain the leading supply chain co-operative for the South West's food and drink industry. They operate as a commercial company that is owned by over 1,000 members from producers to distributors, food service, retailers and marketing specialists. Their ethos of quality and integrity is underpinned by their annual awards scheme - the largest regional awards programme in the UK - for products, as well as shops, restaurants, pubs, hotels and cafes. 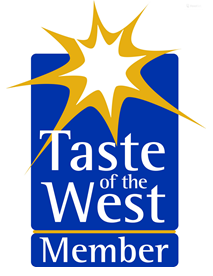 Find out more about Taste of the West by following this link. Want to become a member? Find out how here.